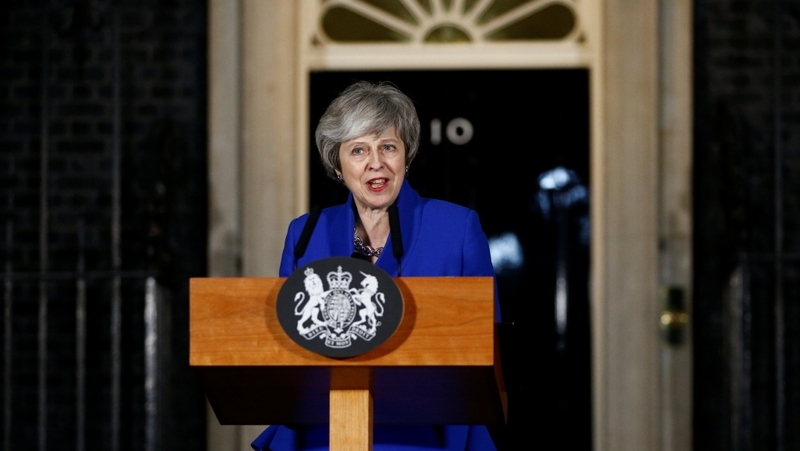 London – British Prime Minister Theresa May will on Monday tell parliament how to proceed with Brexit after MPs on Tuesday rounded out proposed for the country's withdrawal from the European Union. But some opposition politicians who with May last week as she scrambled for cross-party consensus said the leader was in now mood to compromise. The Green Party's Caroline Lucas told the BBC: "I asked her what she wanted to potentially change and I got no answer.
" May's deal was defeated in parliament on January 15, with 432 MPs voting against it and just 202. On Monday, she is expected to discuss one of the central Brexit issues – the Irish backstop. British media reported late on Sunday that she might suggest dropping the safety net commission to appease critics. Within the withdrawal agreement, the backstop prevents a hard border being erected between Northern Ireland, a constituent part of the United Kingdom, and the Republic of Ireland, an EU member state, if a trade deal has not been agreed between the EU and the UK by the end of the transition period. Under the terms of the agreement, the whole of the UK will remain in customs union in relation to trade in goods with the EU "unless and until" the block agrees there is no prospect of a return to a hard border. There is still a huge amount of uncertainty, but this week will be an opportunity for MPs to start showing their colors. Oliver Patel, research associate at the University College London European Institute, said: "I am not really holding my breath for much clarity on the direction of travel – there is no clear indication of a major change in policy by Theresa May, and legally it is quite ambiguous what the content of this statement has to be. " Her statement will fulfil under the EU Withdrawal Act requiring the prime Minister to tell parliament what she would do after the deal she negotiated with Brussels. Parliament will debate and vote on her proposal on January 29. Maddy Thimont Jack, a researcher at the Institute for Government in London, said: "May's statement will influence what MPs decide to do when it comes to voting on those amendments on January 29. So the content or statement is going to be important for influencing how MPs will vote. "There is still a lot of uncertainty, but this week will be an opportunity for MPs to start showing their colors." One strategy being pursued by forms Conservative minister Nick Boles would make it legally impossible for the UK to leave the EU without a deal – which some economists would be disastrous – to enable fresh talks with Brussels. Another involving Labor's Yvette Cooper has two Brexit to allow for further negotiations with Europe. "So she has got to make some concessions to others – and she has got to look at the opposition." Labor leader Jeremy Corbyn refused to meet May for talks last week, demanding she first out of any prospect of a "no deal" Brexit, saying: "With no deal on the table, the prime minister will enter into phone talks just to run down the clock." In a letter to Corbyn, May this was an "impossible" precondition for participating in talks "because it is not within the government's power to rule out" no deal. " Phinnemore said it was essential for May to get Labor on board if she was made to make progress, but there were no signs yet that there had been "meaningful discussion". "In some respects the PM and Corbyn are dancing around each other. He is playing at a general election, but is obviously in a difficult position because he is very insistent on wanting to ensure that a 'no deal' Brexit is taken off the table before any discussion takes place. "But he wants to make this as painful as possible for the prime minister before he budges. "Professor Anand Menon, director of the UK in a Changing Europe academic think-tank, said that May's refusal to compromise on her own" saved lines "made cross-party consultation meaningless. He said: "What the prime ministerials are doing is taking the options off the table. That's fine if you've got a majority of 150, but at this stage it's just a bit thick." Patel agreed, questioning why May had refused to consider compromising on "second-tier" issues. "The fact that they are not willing to move on things like staying in the union with the EU suggests to me that these aren't really proper cross-party talks," he said. While Monday's statement could spawn a flurry of debates and procedural tactics to change the direction of travel on Brexit, senior parliamentarians for the government to call a formal series of "indicative votes" on options facing the country. These would determine how much support there was for potential outcomes – including a modified version of May's deal, no deal, or even a second referendum that could stop Brexit entirely – as well as other alternatives. It was seen as or when May would return to parliament with concessions from the EU made her own deal more palatable to MPs. "She is not going to get anything because the EU don" t want to waste political capital on here if they don't think she can get a revised deal through parliament, "said Menon. However, Phinnemore added that the EU could move on the political declaration outlining the terms of Britain's future relationship .